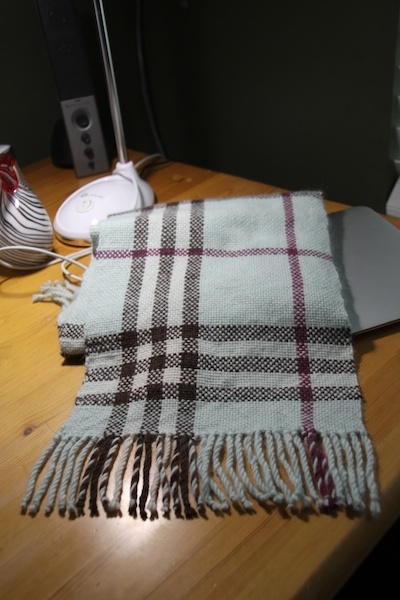 Woven in plainweave on my 15" rigid heddle, 10 dent heddle. 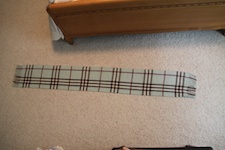 Finished measurements: 8 3/4" wide, 59 1/2" long. 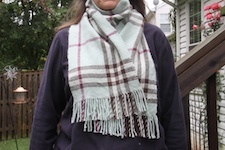 The yarn is 50% angora and has a soft halo. 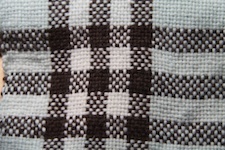 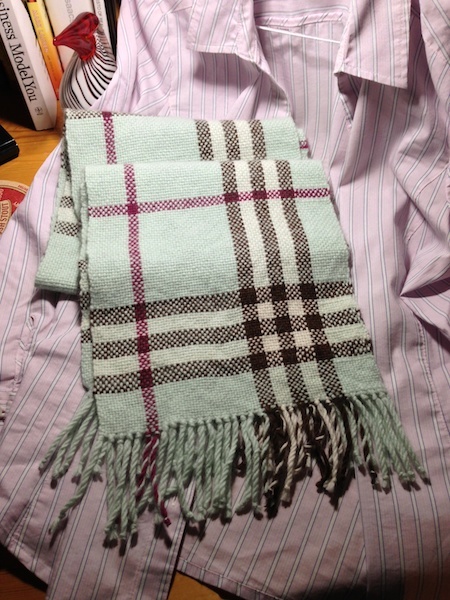 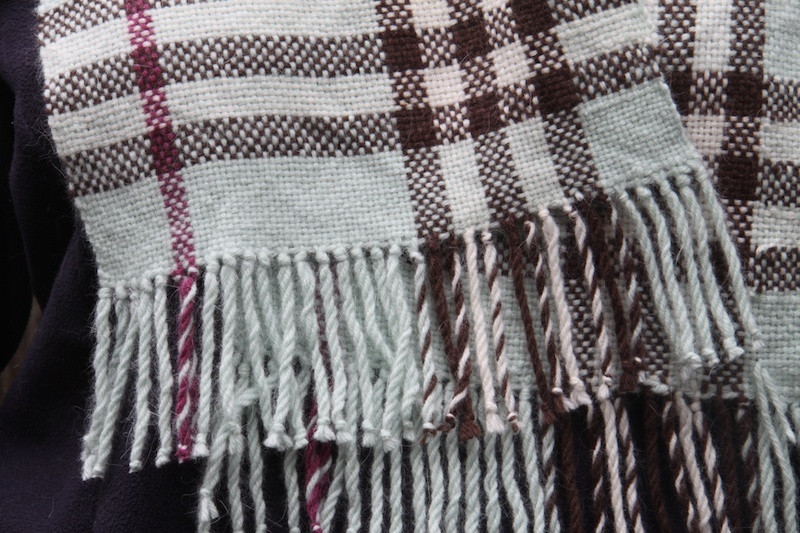 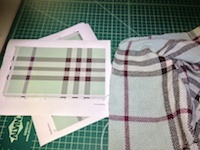 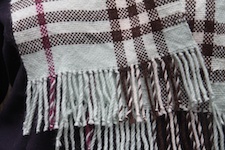 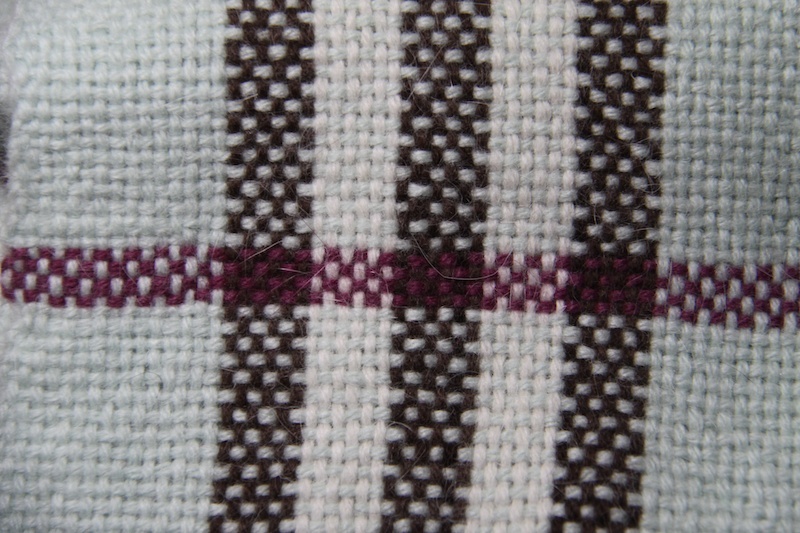 The colour patterning is plaid based roughly on the style of Burberry scarves. 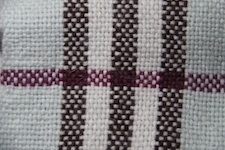 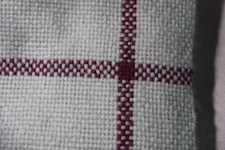 Colours used: Sage, Chocolate, Natural and Burgundy for the accent stripe. 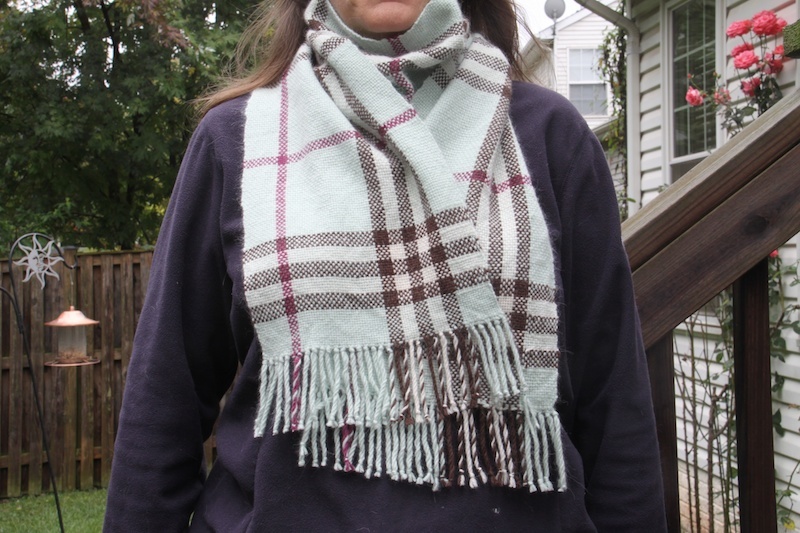 It took about 2 balls total (but across 2 balls of Sage, 1 each of the others) for the scarf. 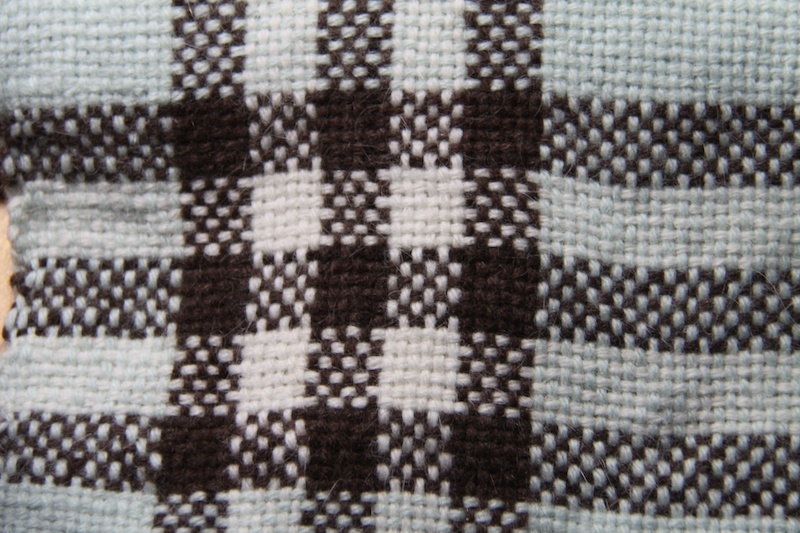 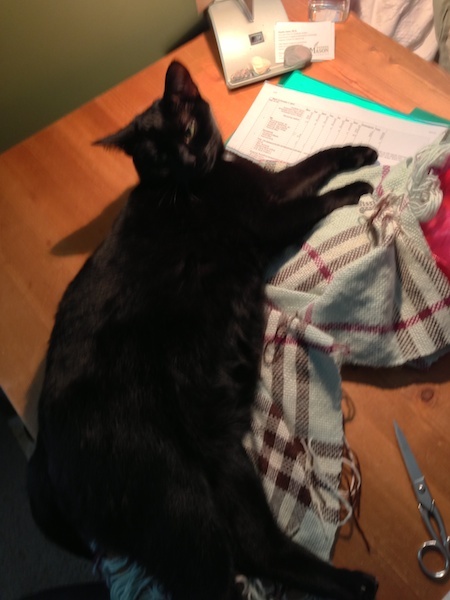 Flat focus. 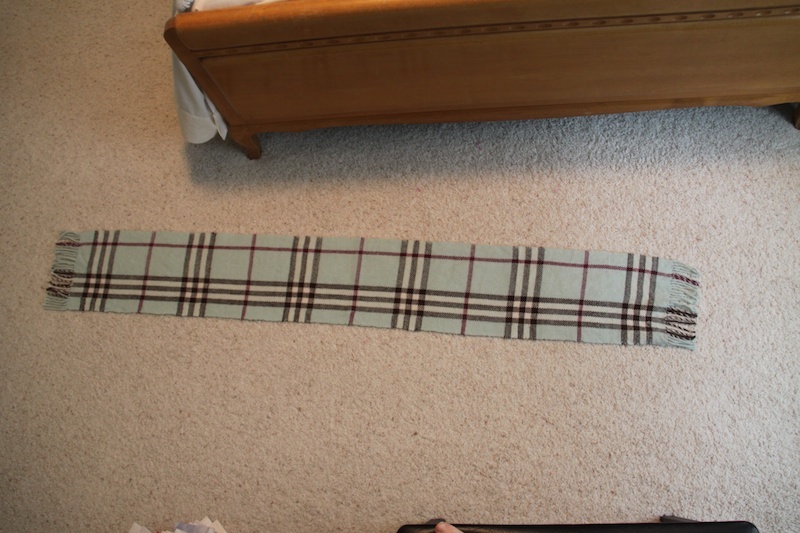 The right picture has the most accurate colour representation on my screen. 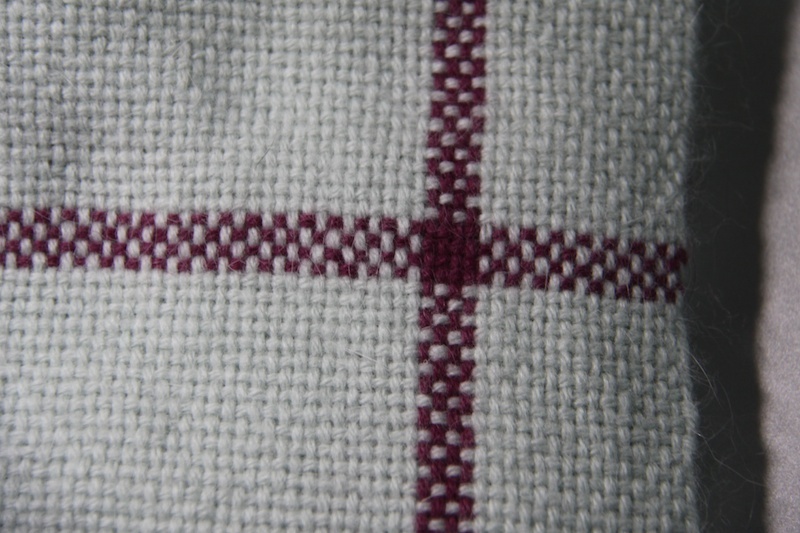 Closeup of various colour crosses. 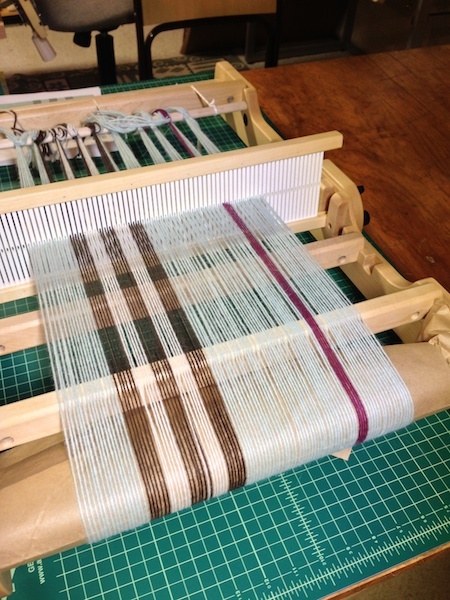 Work in progress pictures: warped rigid heddle loom; the computer-generated "picture". 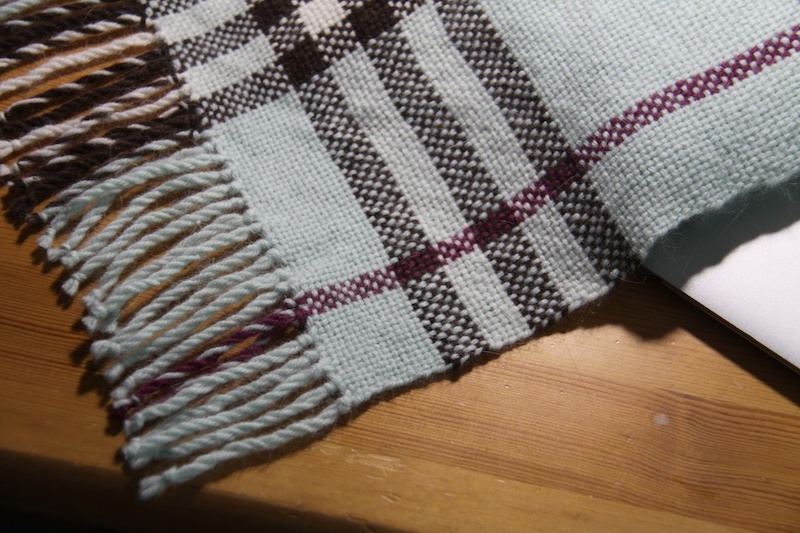 Colour match was pretty good!